What I do know about the Proud class is that they were refurbs of British Power Boat Co's craft. ex MTB's- 505 became 'Proud Fusilier', 506-'Proud Grenadier', 507-'Proud Guardsman', 508 'Proud Highlander', 509-'Proud Knight', 519-'Proud Lancer', 522-'Proud Legionary', 596-'Proud Patriot', 598-'Proud Patroller'. Those craft having a '1' added to their old numbers. As refurbished they had a displacement of 44 tons (52t full load) Dimensions-71ft9ins X 20ft8ins X 5ft9ins Draught. 2 x 18in T.Tubes.1 X 6 Pdr + 1Twin Oerlikon. 3 Packard Engines a complement of 17. All nine craft were laid up at Felixstow after the refurbishment. This is an image of a beautiful 3/4 inch to the ft, scratch built model of HMS Proud Legionary constructed by Mr Edward Childs. Mr Childs, an ex RN ERA who served in British Coastal Forces during the mid '50s, is an Uncle of Mr Paul Childs the owner of ex-HMS Gay Archer, the ongoing story of its refurbishment which can seen elsewhere on this site. This image does not really capture the stunning lines of the BPB Hull, so faithfully captured on the model. It will be displayed at this years Model Engineering Exhibition. The model will be displayed next at the National Model Boat Exhibition at the Warwickshire Exhibition Centre on 11th-13th November 05. This model was started in 1976 and at a scale of 3/4" -1 foot It had to be entirely scratch built. There is now a model similar on the market at 1/2"-1foot. I have the only surviving photos of the original Boat P1522. It would appear that around 13 of these boats suvived the war and not sold off at that time. 9 were converted to Proud class boats and laid up at Felixtowe. 4 converted to RC. target boats, and the remainder sold off. Is there anyboby reading who is not a member of the Coastal Forces Veterans Association wether General service or National Service up until 1957 if so your membership would be greatly apreciated as it is begining to get a bit thin on the ground. This is an image of an ex-BPBoat hull still in use (Summer 2005) in Malta. Now named "Ambra", she has been identified as ex MTB 506-1506-HMS Proud Grenadier. She was originally bought by Wessex Power Units - later - Marine Turbo Craft who fitted 2 Gas Turbine units - sold on to Southern Television (UK) who renamed her "Southerner". To anybody concerned. 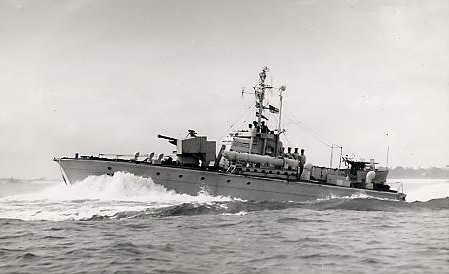 I would like to contact anybody that served on MTB 522 during the war as I would like to get some of the boats history. Also anybody that served on P1048 Gay Charger During her shoot with the Danish navy towards the latter end of 1956, as I returned to Hornet as passenger on her when she called to Aarhus and Cooksharven on that rather precarious journey back.